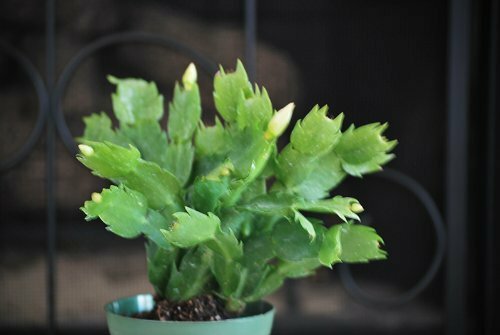 Having a Christmas cactus around your home is a great idea and this plant is both pretty and fairly easy to take care of. The Christmas cactus fits so well in your home in the winter holidays as its flower has such a lovely, festive appearance. 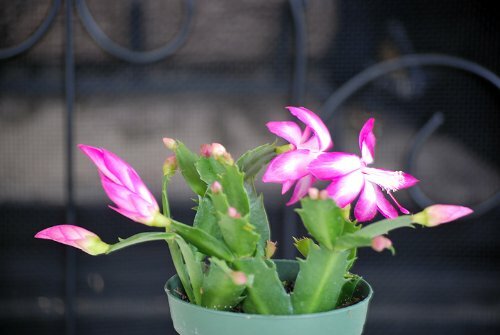 Colorful or white, Christmas cactus warms up a corner of your home and increases the festive feel around any house. Christmas cactus easily adjusts to low light conditions and if you want it to bloom faster, you may expose it to brighter light. Pay attention though as too much direct sunlight may burn its leaves. The moisture on a Christmas cactus is important also and you need to water it constantly during active growth in spring and summer. The soil must remain slightly moist and it should never dry out completely. You have to balance things a lot and never let the plant sit in water either. You may even consider applying a mild houseplant fertilizer solution from time to time. The Christmas cactus would rather like a snug pot where the roots are a bit too large for the pot. The lack of space actually gives the best blooms. Therefore, you shouldn’t repot the plant more often than 2 or three years. When repotting, keep in mind not to do it while the plant is in bloom. Give your white Christmas a White Christmas Cactus Plant that looks so wintery and magical during the winter holidays. Homegrown by Hirt’s Gardens, the plant gets to you in good shape and healthy looking. 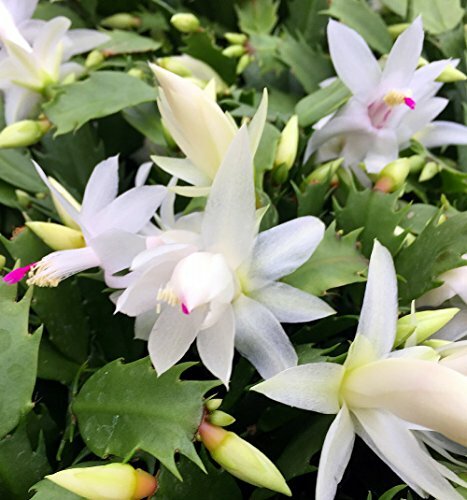 As it’s a tropical plant, the white Christmas cactus likes a lot sunlight but its blossoms last longer in case of cooler temperatures. You have to keep it at distance from various heat sources, but exposed to sun and shade at the same time. Wait until the soil is a bit moist toward the bottom and water it until the soil is saturated. It’s essential for the soil is well drained. Your plant comes in a 4” pot and is going to bloom around Christmas. Its flowers and white and large, matching the magical winter holiday. 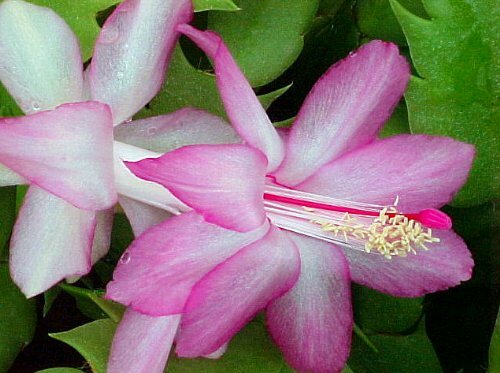 Healthy and easy to take care, the 9GreenBox – Pink Christmas Cactus Plant is homegrown by 9Green Box and looks so pretty. The plant is well packaged so it’s not damaged during transportation. Its pink color is bright and adds a nice splash of color to any corner of your house. You get multiple plants in a 4” pot and the pot makes a great gift for anyone you like also. it’s going to bloom around Thanksgiving and Christmas, so be ready to enjoy its colors. 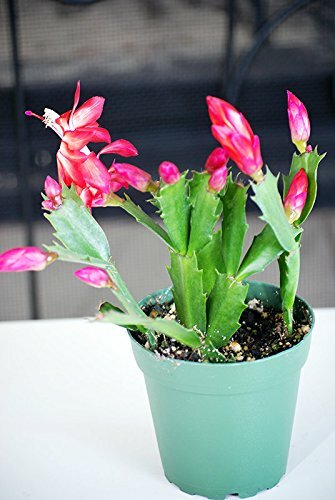 Well packaged and getting to you with buds and bright leaves, the 9GreenBox – Red Christmas Cactus Plant – Zygocactus – 4″ Pot fits any home and brings a positive vibe with its nice and red color. The plant is homegrown by 9Green Box and it’s going to bloom between Thanksgiving and Christmas. You may safely keep it outdoors during summer time, but you need to take it inside your home beginning with October. The soil is moist and the plant looks good and healthy. 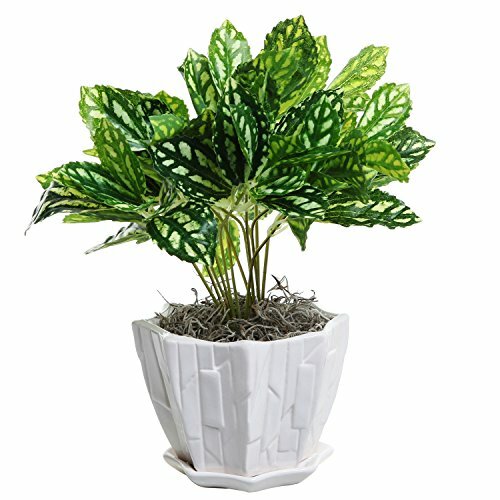 It’s a small plant and you get in fact multiple plants in a simple, yet nice looking 4” pot. Coming in a nice 4” pot, the Lavender Christmas Cactus Plant-Zygocactus – 4″ pot is one cute plant to have around the house. Homegrown by Hirt’s Gardens, the plant is easy to take care of and you should expect it to bloom somewhere between Thanksgiving and Christmas. In order to help it remain healthy, you should never place it under direct light, as it likes a lot the morning sun or the bright, indirect light. You should water it when it’s dry and take care of it. It has a healthy looking and it’s rather small when it gets to you. If you go for a bright and orange plant, don’t hesitate to give it a go with the Orange Christmas Cactus Plant – Zygocactus – 4″ Pot Unique From Jmbamboo. The plant is easy to grow and it likes a bit of sun too. It gets to you healthy and if you take good care of it, it may blossom just around Thanksgiving and Christmas. Keep in mind that the plant likes rather cooler temperatures and you should always keep it away from fireplaces, heaters or other various heat sources. This means you may place it in a sunny location inside your home and ever outdoors in the summertime. Play it on the safe side though and find a place that has a sun/shade mix so that your cactus doesn’t get burned. Growing nicely, the plant gets intact in its very own 4” pot. 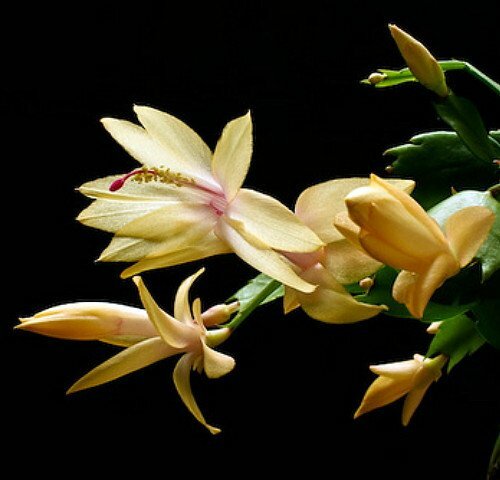 Well wrapped and getting to you intact, the Yellow Christmas Cactus Plant – Zygocactus – 4″ Pot is a nice and warm splash of color anywhere you’d display it. The plant is homegrown by Hirt’s Gardens and its yellow color may vary from yellow to pink-ish yellow or peach-yellow. The temperature, the pH of the soil, the fertilizer content of the soil and even the shipping time have a lot to say about the color of the plant. Easy to grow and cute, the plant makes a great gift also. You can have your Christmas cacti looking nice and pretty without a ceramic pot also and the Full Depth Round Cylinder Pot, White is a great option to try. The pot looks elegant and stylish and it’s made here in our USA. It has a built-in tray that protects the indoor surfaces or the decks from water damage. The plastic pot is lightweight, yet sturdy and is able to take the use for a good amount of time. It’s a recyclable pot and that’s always a great news. The white pot is a true white and it’s very easy to clean. 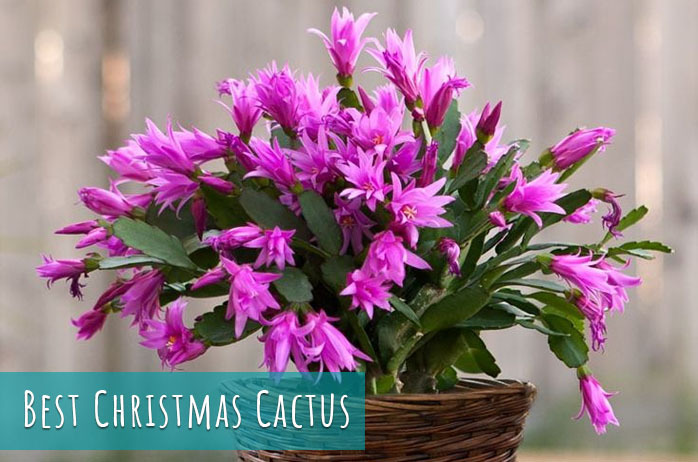 The pot is well made and elegant, whereas its glossy finish is highlighting the looks of your Christmas cactus. If you’re looking for a new, more artistic pot for your Christmas cactus, bring a nice touch of modern art into your home with the Abstract Design White Ceramic Succulent Plant Container / Cactus Flower Planter Pot with Attached Saucer. 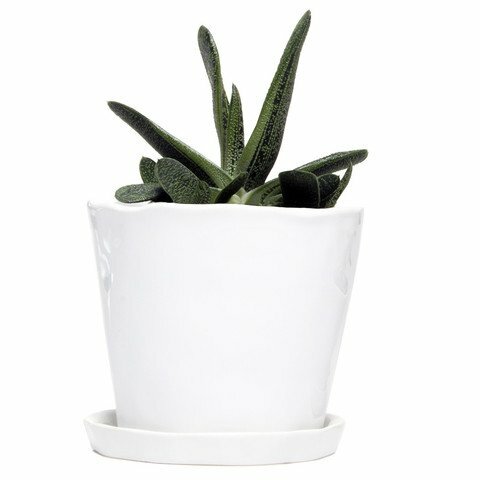 The white ceramic plant pot is going to draw attention and its one-of-a-kind raised design of layered shapes does stand out. The pot features a hole at the bottom so the water flows nice and easy through the soil and into the attached saucer. The build of the pot is good and has a durability feel attached to it. it can handle very easy the outdoor challenges, protecting your Christmas cactus. The pot is a great option for a colored Christmas cactus and gets a magical feel when used for a white Christmas cactus. Additionally, you may use the pot for office supplies, potpourri or candles. Versatile, modern and durable, the pot is an interesting option to use for your special plants. 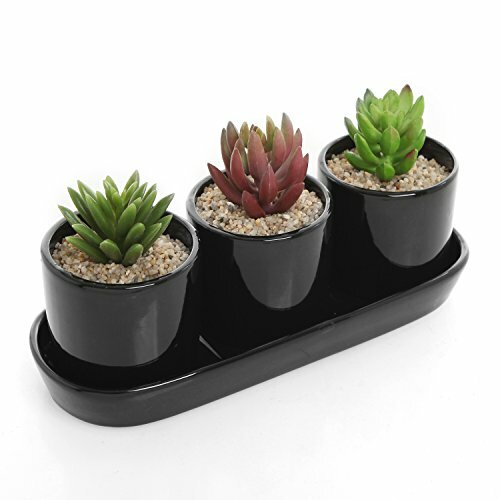 Small and cute, the Black Ceramic Contemporary Design Succulent Plant Holder Display Set is going to make a nice contrast with your white or colorful Christmas cacti. 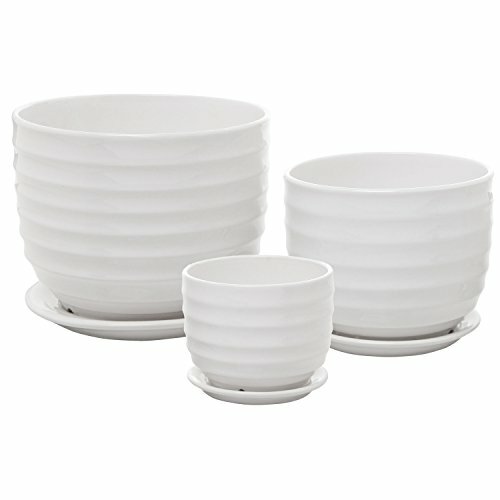 The set includes 3 small pots with 1 tray that look quite elegant due to the minimalist, modern design. The 3 individual ceramic pots come with water draining holes so that your Christmas cacti remain healthy for a long time. Additionally, the long water-draining tray is nice looking and function, keeping the surfaces around your plants dry and glossy the whole time. The whole set has just the right size for a nice display on a desktop, windowsill or in your kitchen. The quality of the ceramic is good and the set gets to you not damaged. It’s well made and so attractive. Get a nice, warm and subtle set of ceramic pots for your pair of Christmas cactus with the Set of 2 Small White Decorative Ribbed Ceramic Plant. 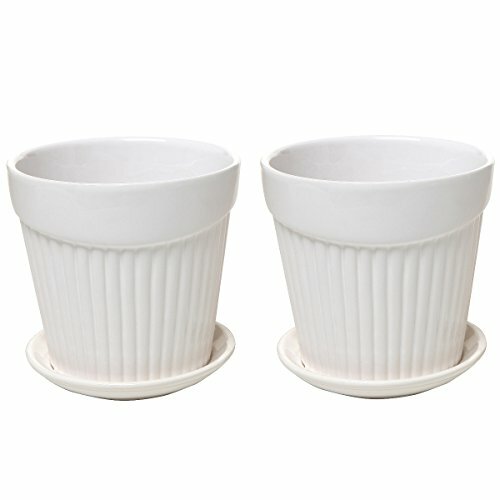 Small, but a tall design, the pots have a ribbed design and an asymmetrical top border. They have a hole in the bottom so that the soil drains easy. The attached saucer catches the drained water keeping the surface around the plants dry and clean. The white pots look amazing with the colorful Christmas cactus. Their bold and stylish appearance makes them fit any space, indoor and outdoor as well. They get well cushioned to you so are nice and intact upon the arrival. As they’re not made with the thickest ceramic out there, you may want to handle them carefully. Well made and with a nice finish, the pots simply are an adorable option for many. When you’re sitting on a fence and can’t decide which color to go on your Christmas cactus, get down with a set that includes several colors and not just one. 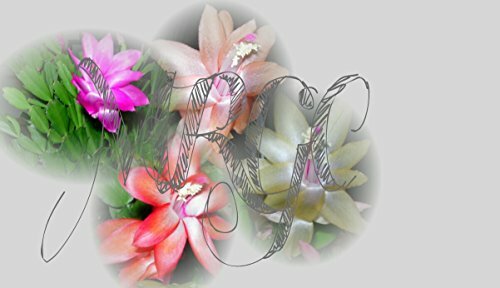 The Richlin Gardens Christmas Cactus Collection-4 Plants is a good option like that, as it includes 4 indivually plants that are different in color. The plants are well rooted and have nice and bright colors so they warm up and brighten any surface where you’d place them. If this is the first time you’re getting Christmas plants, it’s good to know they’re plants easy to take care of and you also get care and growing instructions. Additionally, you get plants that are one year old and each comes in its very own pot. 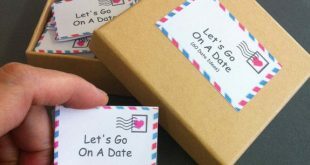 As if this wasn’t enough of a deal, we have to mention also that the lovely collection gets to you nicely gift packaged and secured so they are all intact. Even though they’re a bit small, the plants look so nice and are a lovely set to use around the house. The massive Chive – Big Tika, Large Succulent and Cactus Planter not only has a massive build, but also impressive with its appearance. The planter is a 5” ceramic succulent pot and its drainage hole that makes sure your Christmas cactus has a well-drained soil and that its roots don’t rot either. The pot also comes with a saucer that keeps the surface around nice and dry. The saucer is easy to detach for cleaning. The pot comes in various colors and you may choose your favorite according to the colors of your Christmas cactus. Each pot is great for a 4” Christmas cactus or you may squeeze in several other smaller plants in it. Working well and looking simple, the pot is beautiful and effective at the same time. Cute and stylish, the Set of 3 Small to Medium Sized Round Modern Ceramic Garden Flower Pots is such a pretty option for your colorful Christmas cactus. The set includes 3 ceramic planters of various sizes that present a ribbed exterior, which gives them a modern feel. The planters features water drainage hole so it’s easier for you to take care of your Christmas cactus. They also have attached saucers so you keep the surfaces around the plants nice and clean. 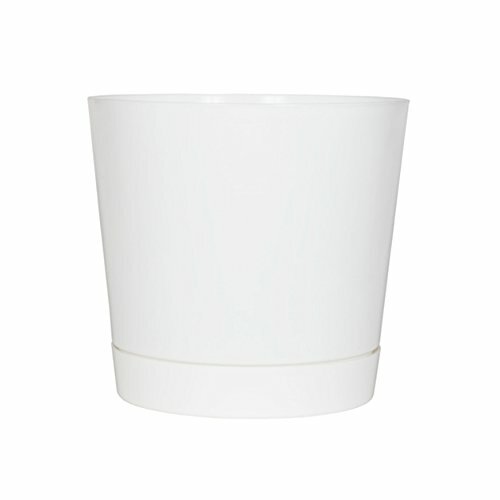 Versatile and easy to use, the ceramic pots are elegant and pretty. The quality of the ceramic is good and they get intact to you, as they are so well packaged. Attractive and effective, the pots come for a very good price as well. If you want a special display for your Christmas cactus, give it a go with the White Ceramic Rope Hanging Planter Set with 4 Flower Pots Plant Containers. 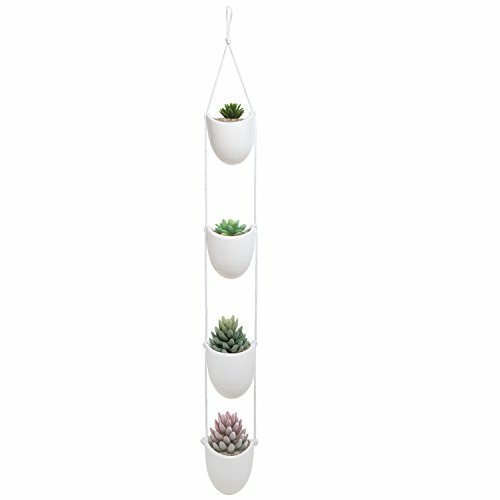 The hanging planter set includes 4 flower plant containers that are the same color and size and look elegant and subtle. The small planter pots are suspended between 2 lines of white rope so your Christmas cactus is going to look so nice and romantic. The pots are adjustable on the rope and the whole set isn’t difficult to install. The pots come in beautiful colors and present a lovely finish. Please take note that the pots don’t have drainage holes so you have to constantly check the soil on your Christmas cacti. For the romantic, yet fresh and young vibe that the hanging planter set is giving, we’d say you should try it at least for the summer time, outdoors. Even though this set is much more than beautiful appearance, we have to say it: the pictures simply don’t do them any justice! The Gifts & Decor Ceramic Jade Garden Planters Flower Plant Pot Set, 3-Piece is a beautiful set and a true eye-catching ceramic 3 piece planter set that helps your Christmas cactus look amazing. The planter set is made with pretty jade and sand color finish and improves the looks of your plants. They look amazing and luxurious no matter where you’d place them and make it as a great gift for the nature/gardening enthusiast as well. 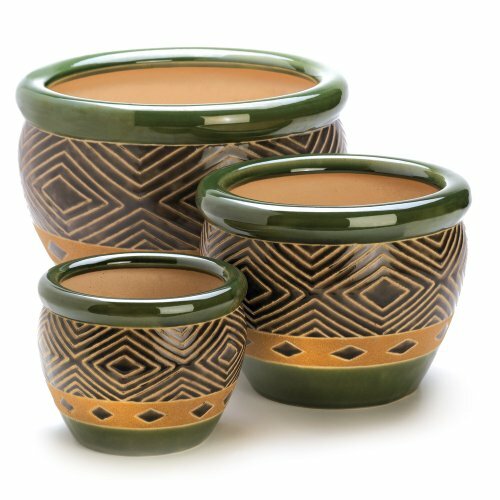 The coordinating pots come in three different sizes and create a nice designer look. They have holes at bottom so the soil on your Christmas cactus is well drained the whole time. They are made of tough, solid ceramic and the pots leave a durability feel. For the amazing looks and great build, the price for the set isn’t that bad either.